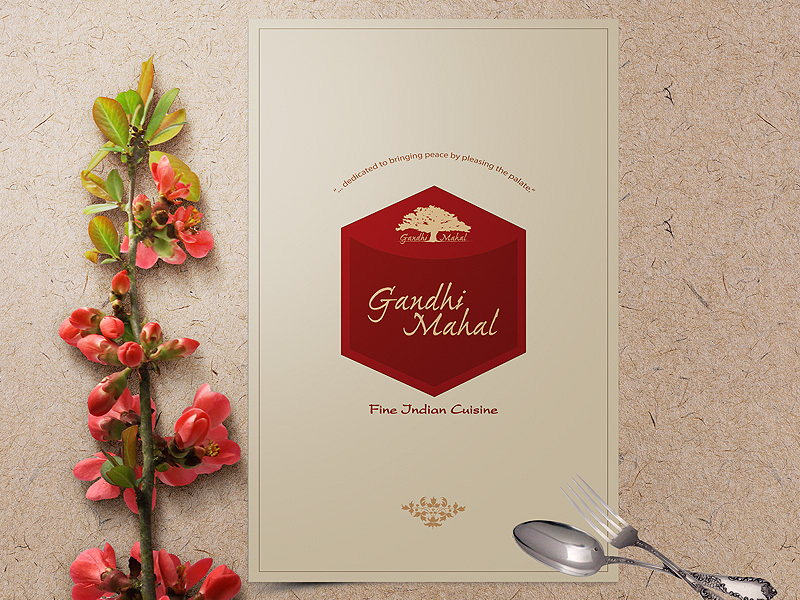 Gandhi Mahal is a full-spice, Bangladeshi/Indian restaurant serving quality, healthy, and locally sourced food that promotes a peaceful mind and experience in a soothing environment. 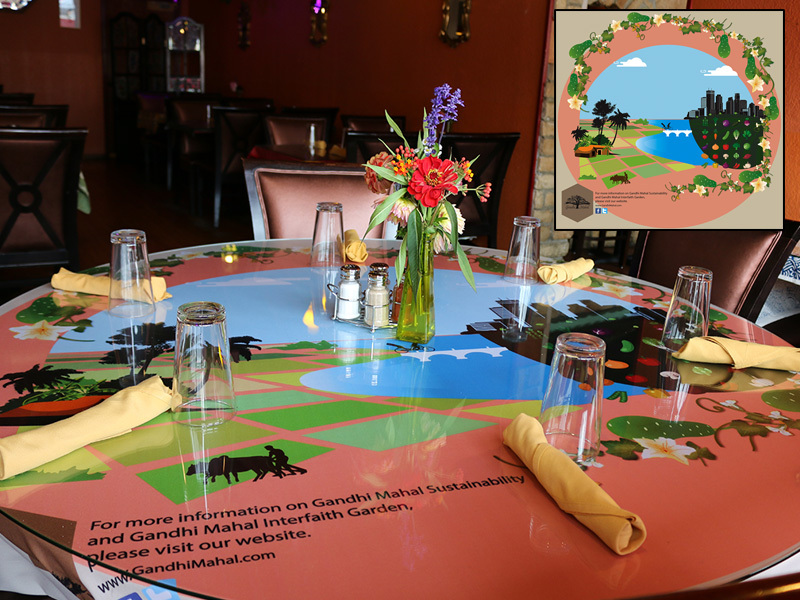 Established in 2008 in the city of Minneapolis (Twin Cities), Gandhi Mahal is an award winning Fine Dinning Restaurant. 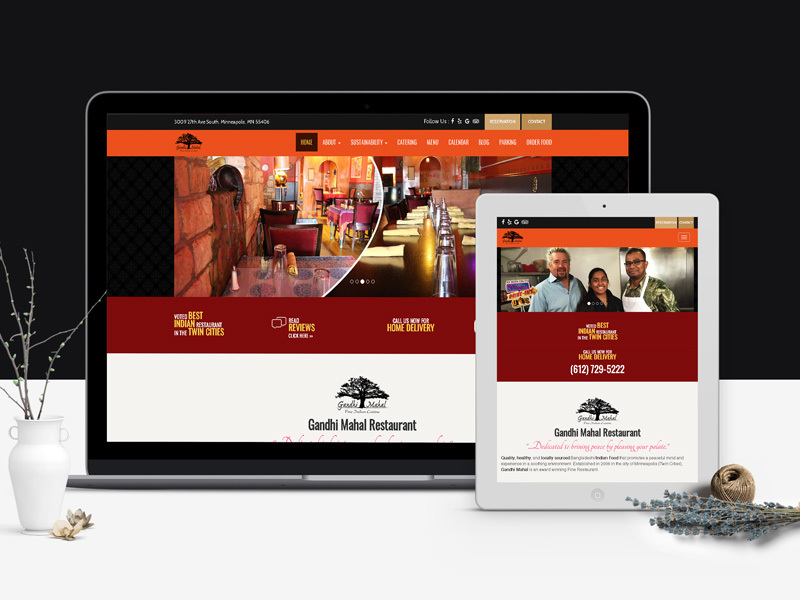 As the 10th anniversary approached, Gandhi Mahal required a complete re-do of their existing website, menu and other graphics changes. 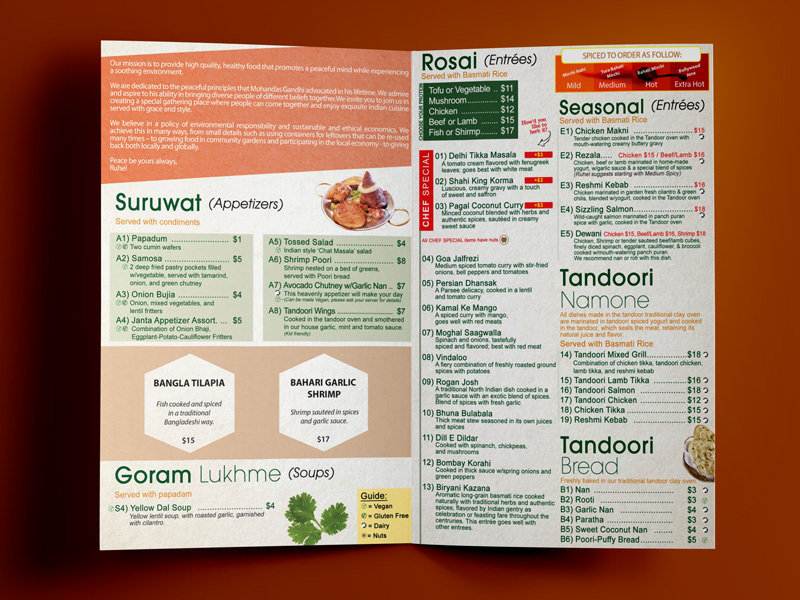 LumiGeni visited the restaurant and evaluated from various angle and had deep conversations with owner Ruhel Islam. 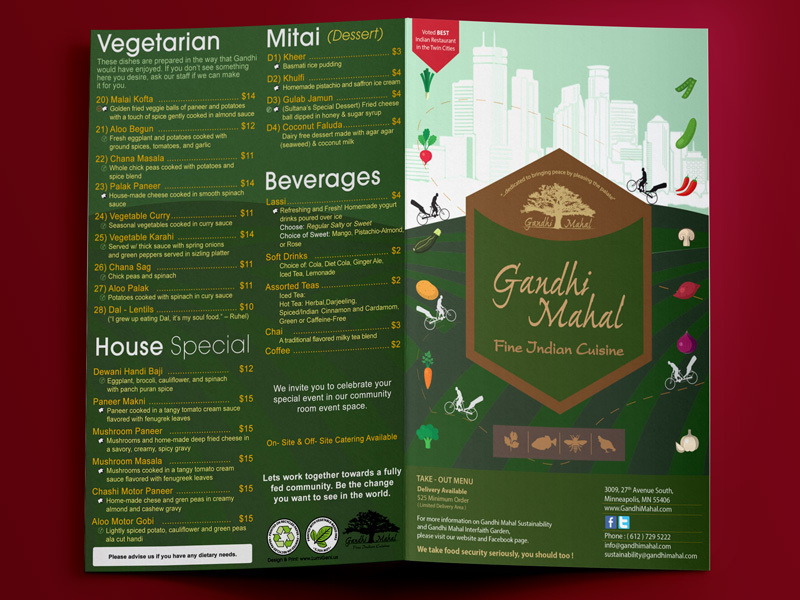 After much research and understanding of where Gandhi Mahal is headed toward, a brand new set of dine-in menu, take out menu, business card, table covers, and website is designed. The concept was to tell the story of Ruhel and his brothers arrival from their native country, Bangladesh, and their journey to Minneapolis. 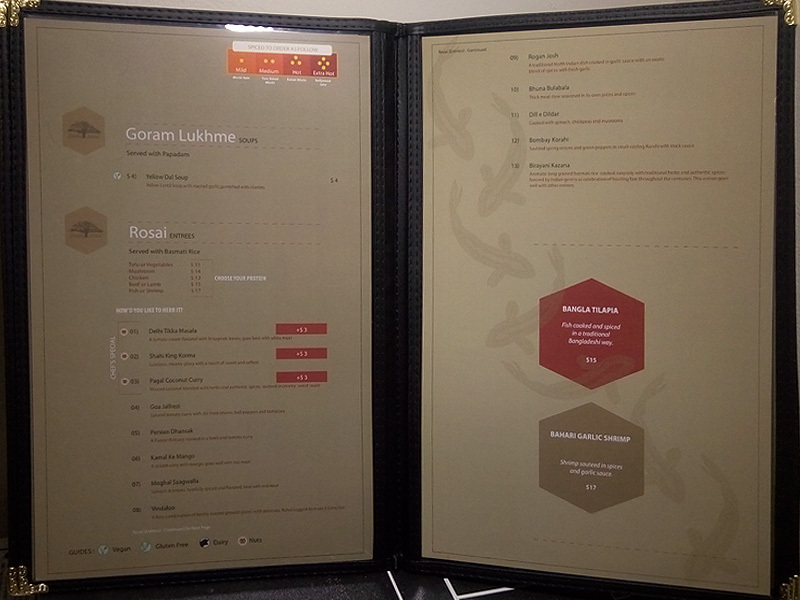 Along with all their accomplishment of creating the first sustainable restaurant in the city. 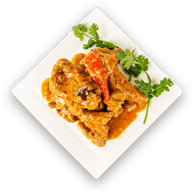 It was indeed a pleasure working along with Mr. Islam, who is very satisfied with our work.